Imported Fuggle pellet hops. 3.5 - 6.5% AA. Delicate and pleasant mint, grass and floral tones. 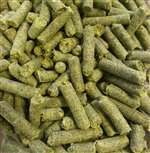 Used as an aroma hop for American, English and Belgian style ales. Use Fuggle, Willamette and Styrian Golding as a possible substitution.